I wanted to have something on my website about cleaning and lubricating pistols, because a great many shooters do not clean and lubricate their pistols properly. However, I didn’t necessarily want to write it myself, so the simplest thing for me to do was to provide links to the best information I can find on the web. Most of these links will lead you to other links, and you can read as much or as little as you like. start somewhere, this stuff works for me. 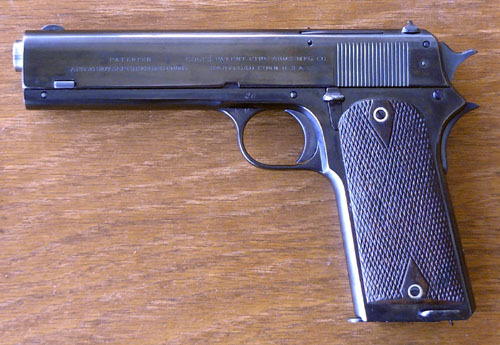 Colt 1907 Army Contract, serial number 20 (one of 205 made). Copyright 2008-2010 by Ed Buffaloe. All rights reserved. Please write to the Webmaster if you find non-working links.